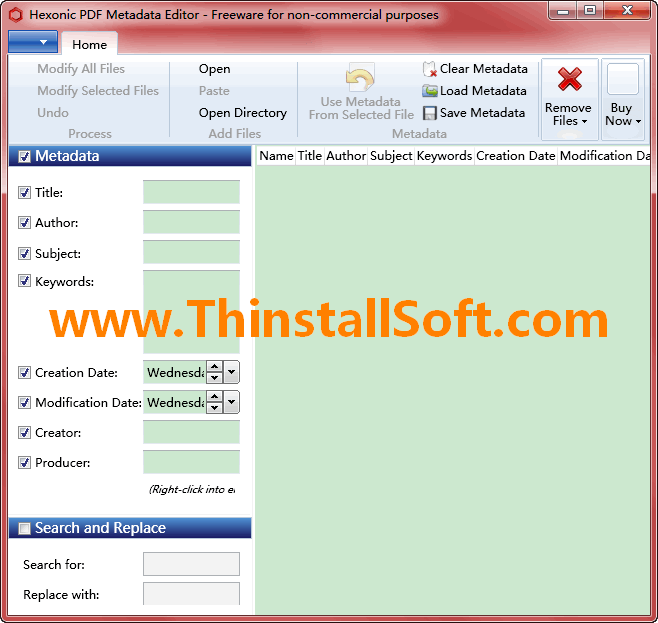 Hexonic PDF Metadata Editor is a freeware for PDF Metadata viewing and editing. This PDF Metadata editor could change or remove metadata. You could use it to set metadata including Title, Author, Subject, Keywords, Creation Data, Modification Data, Crator, Producer, etc. Note: Run HexonicPDFMetadataEditorPortable.exe to launch Hexonic PDF Metadata Editor Portable. The current version is Hexonic PDF Metadata Editor 1.0.0. This freeware it only for private and non-commercial purposes. You could also try A-PDF INFO Changer for editing PDF metadata. You need install Microsoft .NET Framework 3.5 SP1 to run it correctly. This entry was posted in Office & PDF and tagged Hexonic, pdf, pdf changer, PDF Editor, pdf metadata editor, pdf metadata extractor, pdf metadata remover, pdf metadata viewer. Bookmark the permalink.